When you need work done on your home, it’s not always easy to know who you should call. In some cases, a general contractor might be the right choice, while others may call for a trade specialist like a plumber or an electrician. However, there’s another type of service provider that’s sometimes overlooked: the handyman. Home projects vary considerably in size and scope, from major renovations and technically involved projects to minor repairs and maintenance. While the former scenarios call for a general contractor or trade specialist, a handyman can be a fine choice for the latter. Consider the following examples to help you decide which professional will be right for your job. Most licensed contractors charge high minimum fees for their services, which often makes smaller jobs financially unfeasible. In such instances, a capable handyman can be a great option. However, it’s important to be aware that financial restrictions may apply to the work a handyman is able to perform. California law doesn’t require handymen to be licensed, a fact that many homeowners are unfamiliar with. However, there are some noteworthy caveats that come along with this. Unlicensed handymen are not permitted to perform jobs whose price exceeds $500 (including labor and materials). What’s more, unlicensed handymen can’t perform even minor work if it’s part of a larger project that requires a license (such as a major remodel). On the flipside, handyman work that doesn’t involve a fixed part of the home’s structure is exempt from the $500 cap. This includes furniture building, picture hanging, shelving installation and many other tasks. 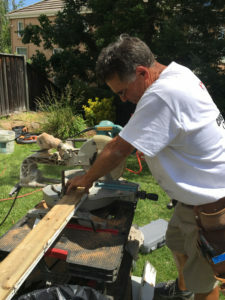 Depending on the specific work you need done, it may be tricky to find a middle ground between a contractor’s high minimum cost and an unlicensed handyman’s low maximum. 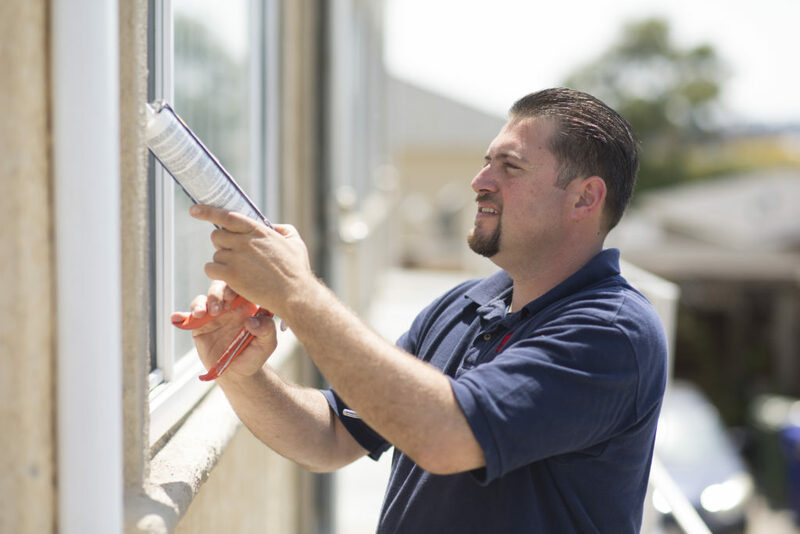 Keep in mind that there are licensed handymen (sometimes called handyman contractors) who are legally able to handle more expensive jobs—however, don’t be surprised if they charge higher rates than their unlicensed colleagues. As with hiring any service provider, it’s crucial to do some background research before hiring a handyman. While there may be less at stake with small-scale jobs, even slight lapses in diligence can lead to substantial consequences—for example, a tiny window leak that allows dry rot to take root. Furthermore, any time you hire a service provider to work in your home, you run the risk of being taken advantage of. For these reasons, make sure the handyman you hire has a verifiable reputation for quality workmanship and professional integrity. Fortunately, there are plenty of ways to verify a handyman’s reputation. The simplest is to read reviews and ratings supplied by organizations like the Diamond Certified Resource. Additionally, look into industry affiliations and memberships such as the Better Business Bureau and your local Chamber of Commerce—these are good indicators that a handyman is on the level. If you have difficulty locating these kinds of reputability signifiers for a prospective hire, you should probably look elsewhere. Insurance: Licensed or not, all handymen are required to carry liability insurance. By hiring an uninsured handyman, you risk assuming legal liability for any physical injuries sustained while working on your property—a risk that’s never worth taking. Furthermore, if the handyman has any employees, they also need to carry workers’ compensation insurance. Written invoices: Should a problem arise after the work has been completed, you’ll need a paper trail to ensure legal recourse. To this end, you should insist on receiving written invoices for all work the handyman performs. An invoice should include the handyman’s business name and physical address, a list of all services performed, an itemized list of all parts and materials purchased, the total cost of the job, and the warranty terms (if any). Permits: You might be surprised to learn that many home projects require permits. Due to the financial penalties you could incur, it’s important to determine if yours requires a permit before—not after—it’s complete. If it does, you’ll need to hire a licensed professional to handle it. While not as essential as liability insurance, attributes like friendliness, courtesy and good communication skills are valuable qualities to look for in a handyman. When interviewing a handyman, take note of their demeanor. Are they friendly? Do you feel at ease when speaking with them? Are they direct and specific about the job details? Do they explain things in a way that’s easy for you to understand? By hiring a handyman whose personal attributes align with their professional abilities, you can expect a great overall experience. To find a Diamond Certified handyman in your area, visit www.diamondcertified.org.